The kitchen is the most unique and dynamic room in the house. It’s a place where wonders happen, a place that smells of fresh food and baking, where we meet for breakfast every morning to enjoy a little time together. So much of life is spent here, and therefore it’s important to develop a quality background for all the decisions, laughs, and delicious food that family and friends enjoy in this room. Whether you want to remodel your kitchen completely or just redecorate, keep reading for modern tips and trends. This year promises to very exciting in terms of kitchen trends. 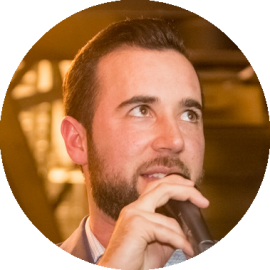 We can look forward to exciting material and design experimentation. In recent years glossy, white, and impeccable kitchens were in fashion, and those of you who aren’t living the life of the Stepford Wives could barely ever keep the kitchen in a decent state. Gladly, those times are over now. 2013 is a year that embraces life as it really is, so we are starting to move slowly away from glossy perfection towards a matte real-life aesthetic. When deciding between various kitchen cabinet finishes, go for those with depth, texture, and variety. Scandinavian design influences will be very apparent in this year’s trends. Real-life kitchens require a real-life materials such as wood, brass, and porcelain. Hints of polished concrete and exposed brick wall make a prefect background for the new kitchen. Mixing diverse materials, like a combination of timber veneers and polyurethane satin finishes, gives your kitchen warmth and ambiance. Your aim is to create a place for everyone, where thoughts are shared and love is spread. On the other hand, the cabinet finish is kept simple this year. The cleverness of this concept is to combine different materials and mechanisms in harmony and let them work together despite their diversity. The kitchen is a place where you and your family and friends meet — where everyone brings a unique vibe to the home. The simplicity of Scandinavian design lies in minimal, elegant, and unique features. Flooring, lightning, and ceiling design will become an integral part of the new kitchen in 2013. Choose textural and rich kitchens incorporating the whole kitchen space rather than only the cabinetry. 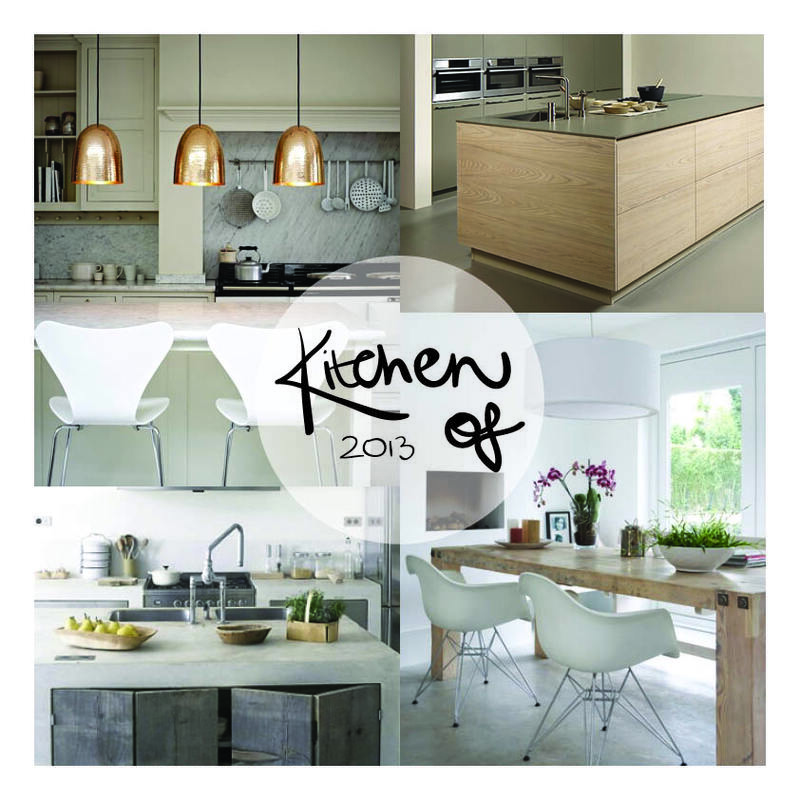 Subtle and subdued surfaces and finishes will create the perfect kitchen for 2013. Pantone’s main colour of the year is Emerald. It’s a mix of blue and green that works great with other textures and materials such as wood and brass. says colour expert and executive director of the Pantone Color Institute Leatrice Eiseman. Pantone’s inspiration came from The Greens featured at Premiere Vision in Paris and a book by David Hockney filled with landscapes and forests paintings. So much greenery is very striking. The range of colour goes from the Sour Greens of Pistachio and Midori to the Cool Blue-Greens of Cool Mint and Beachglass. Green hues will give the kitchen freshness and youth and will combine nicely with other earthy tones. 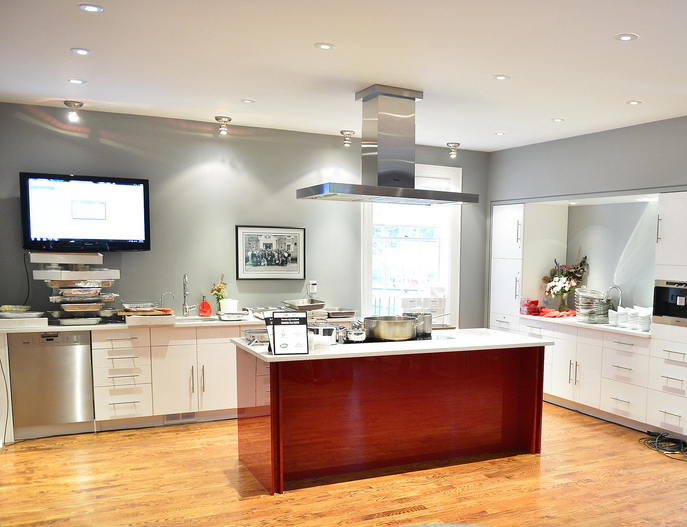 Now we know what a dream kitchen of 2013 looks like, but an empty kitchen is like a car without seats. It’s lovely and and striking, but absolutely useless. 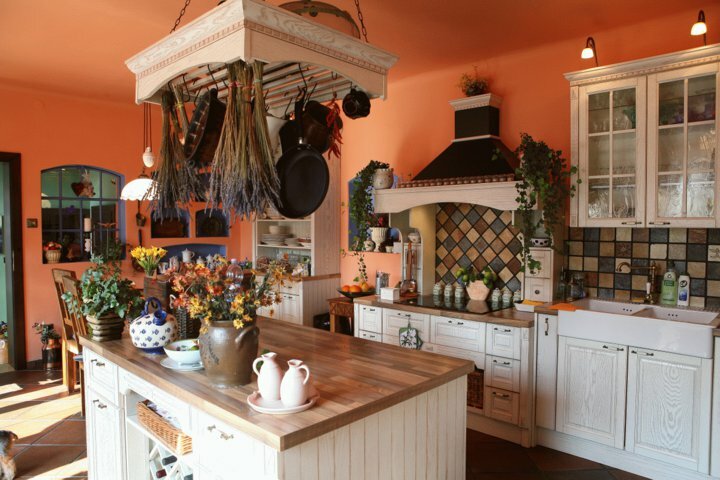 New kitchens should be filled with new and quality cookware, tableware, accessories, and linen. New mugs and napkins can do wonders for your kitchen. They are items of everyday use and should therefore be timeless, durable, and loveable. It’s okay to spend some coin on these, as they will last a lifetime. Real-life kitchens need real-life appliances, and what better cookware is there than cast iron? It used to be very popular decades ago, when we didn’t know about teflon or ceramic-finished aluminum pans. Nowadays, after discovering the carcinogenic effects of teflon, designers tend to focus on remaking good old cast iron pans and making them trendy and chic again. Cast iron retains heat, which makes it excellent for frying and stewing. Want to know what makes a dish taste better in a restaurant than when prepared at home? Yes, you guessed right: cast iron appliances. A pan or casserole once heated stays hot for a long time, owing to the micro structure of cast iron. It consists of tiny crystals and graphite flakes, along which heat spreads evenly. These crystals and flakes expand and contract while heated, and the fat or oil used is absorbed in the pores of the pan. Fat forms a kind of insulator between the food and the metal. Fried food will sear to an exceptionally beautiful finish. 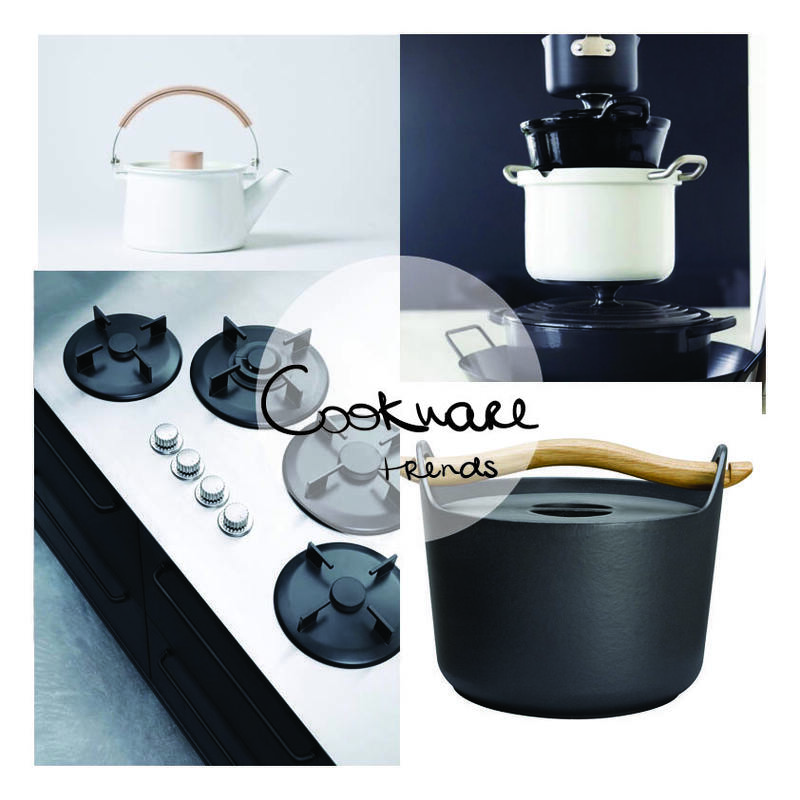 Hackman is the best Scandinavian cookware producer with many different lines. It is a member of the Iittala Group, best known for its cast iron cookware. You can choose from two lines, Brasserie and Rotisser. 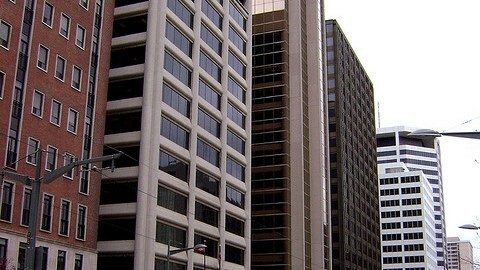 Both lines are designed by Pentagon Design. The Brasserie line offers a range of pans from cast iron with wooden handles. This line is intended for home chefs who care about the quality of their meals. Handles are made from wood and therefore strictly require hand washing. Rotisser offers more of a contemporary design when it comes to cast iron. Wooden handles are replaced by metal hardware. The factory-seasoned cast iron pan withstands extreme heat and creates a nice brown surface to your food. It is also ovenproof up to 300 degrees Celsius. There is more to a pleasurable meal than a good chef. The way we present food and more importantly what we present it on are equally important as the food itself. 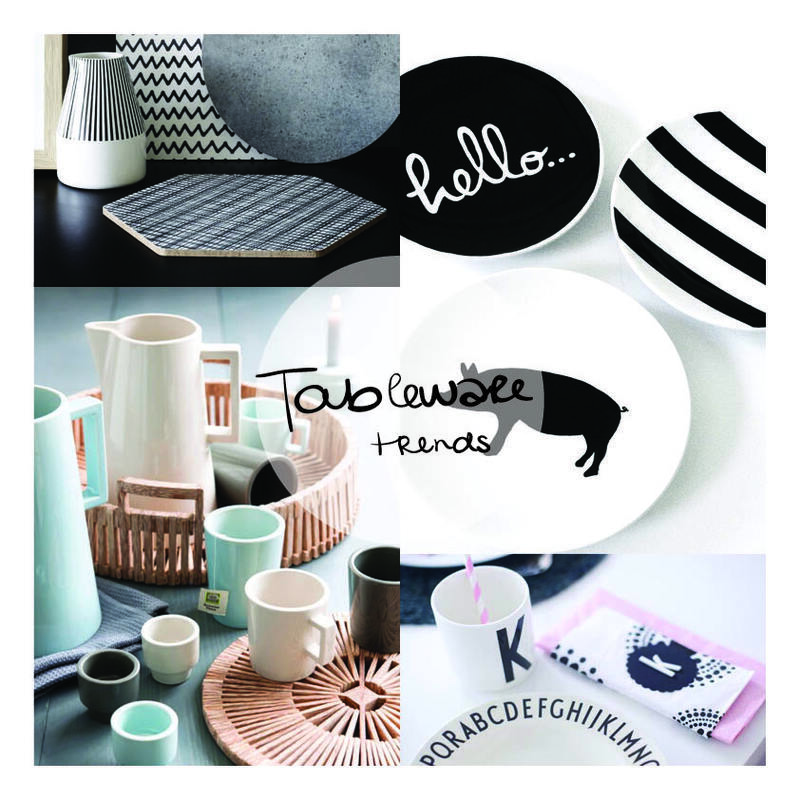 Designer tableware can provide an amazing background for every meal or snack. Iittala is the most famous label in the Iittala Group. 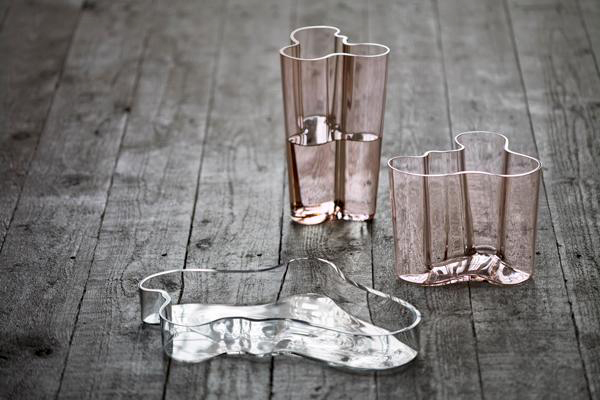 It has strong design roots in glassware and art glass. Over time, Iittala has expanded from glass to other materials, such as ceramics and metal, while staying true to its key philosophy of progressive elegant and timeless design. Essence Plus is the most elegant series, for the really special moments. From the largest glass I can drink mature red wines and stronger white wines, and the 41 cl glass is suitable for younger red wines and fresh white wines. 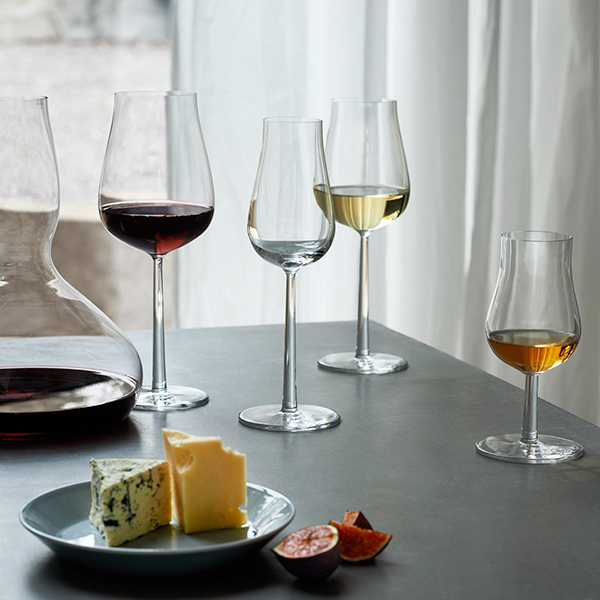 The collection consists of four glasses in different sizes. The shape and the size of each glass was carefully calculated and designed to bring out the best in each type of wine. Whether you enjoy wine or the beauty of design, Essence Plus has been designed to make delectable fine wines even more enjoyable. The third and last label from the Iittala Group, Rörstrand, produces the best china and pottery in Sweden. While they respect their roots and history, the ease with which they can combine contemporary design and classic china is striking. In 2013 Rörstrand launched a series of china designed in collaboration with Filippa K. The line carries the name Aborigin. The series contains a mug, a bowl, and a side plate in the characteristic, graphic, black and white Filippa K style. Inspiration for this line comes from handicrafts from all around the world and the unique Australian indigenous peoples’ dot painting — a mass of black and white dots forming designs that all tell their own story. Kitchen linen adds the final touches to any kitchen. 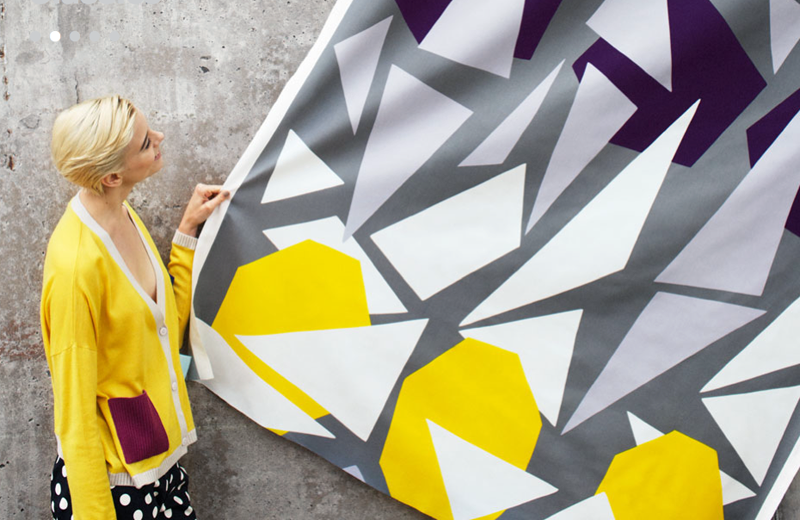 Kitchen cloth doesn’t need to be plain white or with boring red or blue stripes — there are dozens of textile designers specializing in home ware prints. Viljo and Armi Ratia started the Finnish textile Company Marimekko in 1951. Marimekko is well known for its printed cotton textiles in beautiful patterns and colours, such as Hetkiä, Kaiku, and Unikko. In recent years their prints expanded to porcelain, bags, kitchen linen, and much more. This year Marimekko presented a colour splash. The first rays of spring, the expectation hanging in the air, and blossoming flowers were the main inspiration sources for 2013. The notion of colour as a building block of a happy life and energy is there to lighten our dull, gray days. The patterns Must virta and Roustikko, designed by duo Halonen & Korolainen, reflect the relationship and tensions between water and ice. Aino-Maija Metsola found her inspiration in farmland, fallow fields, rivers, and sandy roads seen from a bird’s-eye-view.